It is not always an easy task determining which approach and what amount of resources are necessary to secure networks from cyber attacks. Protecting important information is essential when resources are at risk, but there are wasteful approaches and limited resources available to secure information. Depending on the type of organization to be secured and the nature of the information, an unlimited number of approaches can be taken to ensure proper security. Sometimes it is easier to simply purchase and install a specialized hardware device such as a Network Intrusion Detection System. These devices allow the organization to quickly and efficiently set up a network security device without the use of obscure or overly complex software. However, both approaches introduce the important factor of budget. A bank may not need the same security as a restaurant when it comes to computer networks, but both need some level of security to operate. More and more organizations are relying on computers and require network security measures to operate. Some systems are created just for the sake of it (“the internet of things”) and don’t do much but decrease operational security. If you’re a fan of Medium’s many authors and articles like me, I recommend reading this recent post by Tyler Elliot Bettilyon, which touches on some of these aspects. 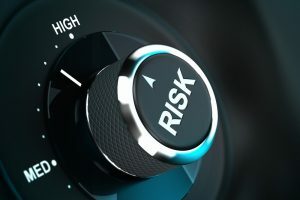 The risk is a product of the drive for greater automation and convenience, and it fuels the demand for cybersecurity measures, network penetration testing, and vulnerability assessment. How much security is really needed? What are the potential losses of network security being compromised? How valuable is the data stored in the network? How much is the organization willing to dedicate towards securing the computer network? Are there critical systems or potentially dangerous consequences to a network breach? Is there someone in the organization who is familiar with advanced network security tools? Is it reasonable to purchase network security equipment for the organization? Overspending on network security could lead to losses in other aspects of the organization, and underspending on network security may create critical gaps in the organization’s security. Overall, ensure that worst-case-scenarios are avoided with training, keeping software up-to-date, and performing regular vulnerability assessments.